Over the last couple months, I have been moving from Georgia to Staten Island. In fact, I got here about a week and a half before Hurricane Sandy came. It seems harder to write about it than I expected it would be. When I looked at this map today, my first question was – “doesn’t Mayor Bloomberg have this map on his wall somewhere?” and then my next question was, “didn’t the Mayor see the same weather channel reports and National Weather Service charts?” How could anyone with the authority to do so, refuse two days before the storm, to evacuate the low lying areas including the nursing homes, adult care facilities, specialized institutional care facilities, the elderly and disabled there, as well as every child living in harm’s way? How could that happen? Didn’t they have hurricane drills ahead of time, what to do in a flood information for the coastal areas, anything? And with this compelling information about the storm which was literally a thousand miles wide and coming in directly from the sea, how could so many life altering and life threatening decisions be made so incredibly wrong? And yet, I’ve been to storm ravaged areas in Staten Island, spoken with people who experienced it there and listened to what they believed was going to happen compared to what actually did – it just doesn’t make sense. How could they have believed that two blocks from the Atlantic Ocean with absolutely nothing to protect them – not barrier islands, not anything – there couldn’t possibly be 11 feet of water coming in on them all at once and very, very quickly? How could anyone have believed that they could get in their car and not be pushed around by that power to the point of having no control of that vehicle smashing into anything and everything, then drowning as well? Why wouldn’t these people in New York not know that the water would simply overtake their cars, buffet them around into everything even as their cars filled with the sea water along with all the toxic debris filling it and drown them? It is very distressing to realize that people reasoned it out in ways that yielded death rather than safety for themselves, their families, their loved ones, their neighbors and their communities. There were so many people that we told to get out of those areas, that their family members told them to leave, the weather channel reporters and weather service told to leave, and regardless of how local borough offices, and mayors handled this – there were facts presented about this storm that said in every obvious manner – that people along the coast would have to leave in order to survive it. But they wouldn’t. The people along the coasts and throughout Staten Island along with what seems like most of New York City’s boroughs reasoned out for themselves that based on another storm which had no relationship to the current facts presented to them about Hurricane Sandy – that there was no need to take this storm seriously, nor any need to leave their homes in order to be safe. It was insane and worse still, it was wrong. And to me, even worse still was that the reasoning was well made by intelligent people but the comparison to a previous storm rather than comparing the facts about the current one using basic common sense – cost a multitude of lives. No, I didn’t go take pictures. I’m not here to take pictures and there are many, many photos and videos coming out of these areas by news crews, interested parties and by people who’ve come from all over the world to help. What holds greater interest for me, is to find the ways that I can help and to discover ways to prevent any more unnecessary deaths and harm to come from this storm or from other events in the future. I don’t know why the Mayor and his staff did not know the danger held by this storm and that it was headed directly for these areas of New York City. Someone on his staff is either a complete moron or serves interests that consider human lives to be expendable and not worthy of the inconveniences involved with saving them, protecting them and getting them out of harm’s way. That isn’t only a tragedy and a shame for this city that is a crown jewel in America’s greatness, but it is also a travesty beyond all measure in the harms it has done to the individual lives, families, communities and futures of every New Yorker. Worse still, the same thinking and misplaced comparative reasoning that cost these lives during the storm are being applied by members of the population in positions of leadership and opinion leaders within the communities to make decisions that are just as wrong. Whether it is to hurriedly rebuild before damaged structures are fully dried out, or to wander around the foundation under a house that is tilted up in the air above it, or to run a propane grill inside the house to keep warm while filling the house with carbon monoxide killing everyone inside – the continuing string of reasoning errors that are creating secondary dangers and costing lives is staggering. The unwillingness of those people affected by this storm, to even consider the good sense of leaders who are now saying to let structures dry out completely before rebuilding any of it – is horrifying. People have already been through enough without adding more tragedies and difficulties to it and yet, that is what is happening in many cases because in reasoning it out – people seem to be using some other “normal” situation and how to handle it – in order to figure out how to handle this extraordinary, unusual and extreme one. That would work if there had been nearly no damage, if there had not been sewage, chemicals, oil and seawater plus debris inundate everything, if it was just a couple trees down or if it had only happened to two houses instead of two thousand or twenty thousand or however many it actually was. I’ve watched people pick up things out of that muck, not wash off their hands with a baby wipe or alcohol or anything and then continue the rest of their day – doing the next thing whatever it may be without even stopping to wash hands or to appreciate the significance of what their hands carried with them. There are people going into homes that are obviously in need of a sticker to legally express that the structure is not to be entered under any circumstance because they are structurally dangerous – and although many structures have been given those stickers – the teams have not literally gone from one address to another using the tax record nor checked all of them. Where people can still go into the home, even though it is structurally unsound and obviously dangerous – they are doing it to get “stuff”. And, worse than that – they are sending others into those structures to retrieve “stuff” which, however dear to them – can never, never be of greater value than the human life they are endangering – and which might be lost or permanently maimed retrieving whatever it is. But people are doing it anyway, and getting volunteers to go in those structures for them – there seems to be no stopping them. 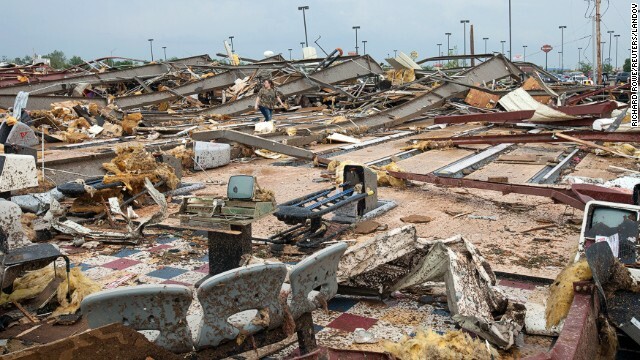 People stayed to save their “stuff” from the storm or from feared looters getting it and now they are dead and their stuff is gone or destroyed anyway. People stayed to save their pets from the storm or because they didn’t believe they could take them to the shelters with them even though everyone was told that they could – and now their pets are drowned and they are dead as well. It downright makes me mad. And, yes – I’m choosing to be mad about it because it is outrageous that in a nation with public education for everyone, such hideously mucked up thinking could have done this. And, it is continuing to do this in further mucking up the situation even as people insist they know what they are doing and how to do it and tell everyone how f**ing long they have lived near the beach or been doing business or dealt with the kind of storms here or whatever other excuse they have for telling whoever it is, including me – to back off and let them do it the way they want to do it. They did that with staying in their homes before the storm, they did that when deciding in the middle of the storm to go walk to the store in the 90 mph wind gusts to get milk they didn’t buy beforehand, they did that when trying to buy batteries and candles and water after there were not any to buy anywhere, they did it when someone in the midst of the waves coming in on them said to come get in the car or in the boat or whatever – and they wouldn’t do it because their pet couldn’t go too, they did it when they were told to stay out of their house if it was structurally unsound and they didn’t want to hear it – AND – they did it when many people tried to volunteer including me – from the very day the storm winds subsided. I heard this morning that there were 50 people killed in a public school at Midland Beach when the people sheltering there were kept in the basement rather than on the second floor where the classrooms are – I hope it is not true, but it was told to me by people that live in that area and were there when the storm happened and the results of its aftermath were being discovered. I can see that it could very easily have happened that way, but I truly hope it is not true. It has horrified me all day thinking about it – and thinking about the two houses side by side on one block where seven people died in one and seven died in the other. And across the street from that – at least one death, but even as the first wave came and some people tried to get them to come with them in a truck and get out of the area – they wouldn’t go. I just don’t understand how that could be. I don’t understand how it could be that taller structures in the area did not become a place of refuge for neighbors as the first waves came through making it obvious that there was a huge, real problem – not a little one. I just don’t get it – and these were all people that knew each other – that saw each other every day – that should have never stayed in the first place, but certainly could’ve gotten their neighbors upstairs into places that had two or three floors above the street and certainly quite a few feet above the 11 or 12 feet of water with its high waves on top of that. It could have been very possible, even at the beginning of the surge – to have brought those neighbors to a better chance of safety – but they didn’t. I just don’t want to understand that. It is simply going to have to be fixed. I don’t know how to do it – but some of this wrong stuff just has to be fixed before it gets anybody else killed or maimed. Hurricane Sandy and its impacts were a known quantity, with known timing, known damage paths, and absolutely known storm surges, winds and potential to cause harm. There is no excuse for anyone to be surprised by the facts of this storm when it was known to be looming for days in advance. There are coffee shops where people can check the weather, computers, cellphones, apps, radios, neighbors telling them and hearing people on the subway or bus talking about it. 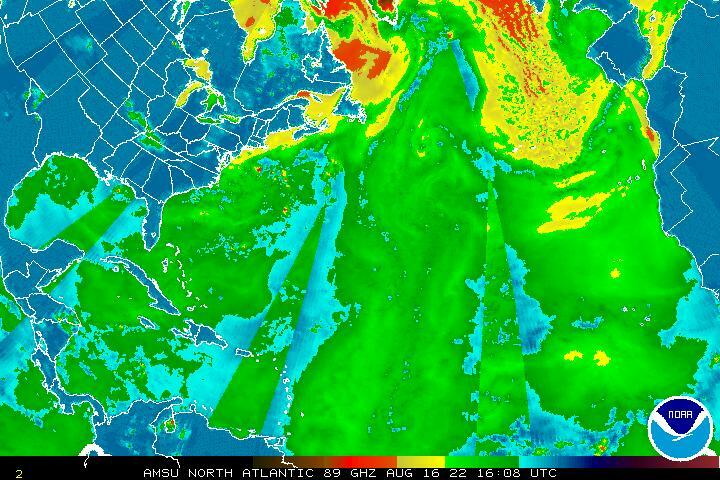 When Hurricane Floyd roared up the East Coast, it dumped as much as 2 feet of rain in some places. With devastating floods from the Carolinas to New England, this destructive storm resulted in 56 fatalities and $6 billion in property losses. That was 1999. Today, forecasters and emergency managers have used the many lessons from Hurricane Floyd and other severe storms to prevent future losses. Specifically, they also have utilized new computer tools and Internet technologies to quickly communicate flood risk to threatened communities. It’s all part of NOAA’s National Weather Service mission. Flooding often follows a land-falling hurricane and is the top storm-related killer. Floods take more lives every year than lightning, tornadoes, or hurricanes. In the time since Floyd ravaged the East Coast, weather forecasters and emergency managers have developed a variety of new tools to better predict and plan for flooding. NOAA’s National Weather Service now offers a new Web-based tool to help emergency managers and local forecasters assess flood risk. This Advanced Hydrologic Prediction Service tool shows current water levels and predicted levels for the coming days for more than 4,200 locations throughout the United States. Another new online tool, currently available for a limited number of locations, is flood inundation mapping. This tool enables Web users to view flood water coverage at different flood stage levels on a map, and overlay other kinds of information useful for assessing potential flood effects. For example, flood inundation maps for 16 river forecast locations in eastern North Carolina are now fully operational. Due to Hurricane Floyd’s devastating effects, the Coastal and Inland Flood Observation and Warning Project was developed to improve flood warnings for coastal North Carolina. CI-FLOW evaluates and tests new techniques to produce accurate and timely forecasts for inland, coastal and flash floods in the state’s Tar-Pamlico basin. New techniques such as these will be used across the country to improve flood forecasting, flash flood monitoring, water management, land-use decisions, evaluating ecosystem effects, and coastal storm surge forecasts. In addition to these technological advances, NOAA’s National Weather Service provides valuable and life-saving information to help you understand and prepare for future hurricanes. The NWS’ Morehead City Forecast Office developed a Hurricane Floyd anniversary Web page, which offers useful tips on preparing a family disaster plan and creating a disaster supply kit. Learn how to secure your home and what to do during a hurricane. The site also offers downloadable Hurricane Floyd lesson plans for elementary school grades 4 and 5. The lesson plans have been offered to schools throughout North Carolina; teachers nationwide are welcome to use them in their classrooms. This year “When Flooded, Turn Around Don’t Drown” signs will be distributed to areas affected by Hurricane Floyd’s record floods. A wealth of flood safety information also is available on the weather service’s Flood Safety Awareness Web portal. And don’t forget, national Hurricane Preparedness Week is May 24 – 30. In May, East Coast residents can learn about hurricanes and hurricane preparedness through the 2009 Hurricane Awareness Tour featuring public tours of a hurricane hunter aircraft. Dates and locations are posted on the Hurricane Floyd anniversary Web page. These include 679 cultural , 174 natural and 25 mixed properties in 145 States Parties. 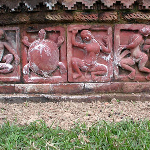 As of April 2009, 186 States Parties have ratified the World Heritage Convention. Atmocean’s wave-driven ocean upwelling system operates in the open ocean hundreds of miles from land where there is a steady supply of large ocean waves. Each pump, typically reaching down to depths of 100 meters to 400 meters beneath the surface, employs a surface buoy to capture this kinetic wave energy and pump the deep ocean toward the surface. The deeper ocean is both colder and contains higher levels of nutrients. Upwelling of this deeper ocean, whether caused by storms and currents or by future deployment of Atmocean pumps, triggers the growth of phytoplankton. To metabolize the nutrients, phytoplankton take in dissolved CO2. This natural process today is absorbing nearly half of mankind’s emissions of CO2 while providing food for nearly all life in the upper ocean. But global warming is stratifying the upper ocean and reducing nutrients which reach the sunlit zone. Fewer phytoplankton grow, diminishing the ocean food chain and absorbing less CO2. This causes a feedback loop as more warming lessens natural ocean absorption of CO2, which then remains in the atmosphere to cause more warming. Given the very active hurricane season of 2008 – refreshing our memories of 2005 (Katrina, Rita, and Wilma) and 2004 (Charlie, Frances, Ivan, Jeanne) – there is renewed interest in deploying Atmocean upwelling pumps to cool the upper ocean and reduce hurricane intensity. Deploy Atmocean pumps in the path of the hurricane. Cover an area 150km square. The area covered by the pumps begins offshore where at least 10 degrees C. colder water is found (typically a minimum depth of 75-100 meters). Pumps are deployed 24 to 36 hours in advance. Since the hurricane generates ever-increasing waves, more cold water is pumped as the storm approaches, resulting in overall cooling by about one degree C. – enough to lower peak winds 5% to 20%. 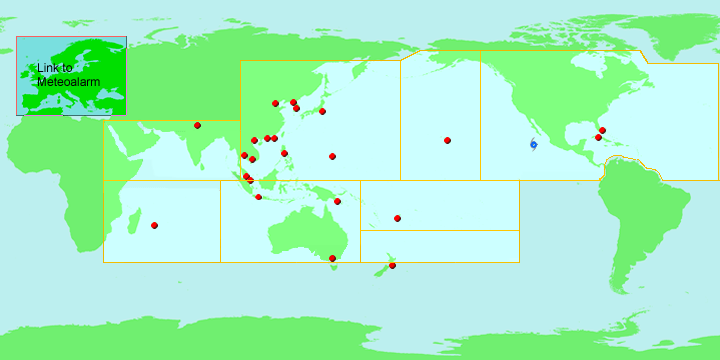 Since hurricane damages are proportional to the cube of windspeed, losses could be reduced by 15% (e.g. 100mph reduced to 95 mph) to 49% (100mph reduced to 80mph). Both in 2005 and this year, a portion of the Gulf Stream spun off and formed a large eddy of very warm, deep water in the Gulf of Mexico. If an approaching storm has a well-formed eye, low wind shear in the upper atmosphere, and crosses this warm eddy, rapid intensification is likely. Therefore, a further strategy is to deploy Atmocean pumps weeks ahead of time in the warm eddy to reduce its heat content and mitigate against rapid intensification. We hope to conduct further modelling of this strategy in the near future. As an individual, you can help in many ways. Developing an awareness of the importance of World Heritage is the first step towards becoming an active participant in the preservation process. You can get informed about World Heritage, learn about World Heritage education, find out how to become a partner, discover how to visit sites in a responsible manner, how to work with us or make a donation. If you find an old windmill for sale, first make sure it’s intended for generating electricity instead of just pumping water. One common old windmill that’s often found for sale used is the Wincharger. The other popular wind generator of the era was the Jacobs. These were of higher quality than Winchargers–but many of both are still flying today. Several people around the U.S. restore, service and stock parts for old windmills. And the Jacobs is still being made today! The current production models are very large and expensive, with over 10 kW output–they are magnificently designed and built. Check out the Manufacturer’s Website for more information and cool pictures. Electricity producing wind generators were very popular in the 1920s and 1930s all over rural America. They were available in many different sizes and voltages, and can often be found for sale in rural farm communities. Most models are quite suitable for a modern remote power system no matter what voltage they are. If you are able to locate an old wind generator, some basic maintenance (rust removal, lubrication, and testing) could put it back in working order quickly. They were built to last–before Rural Electricifation, they were the ONLY source of power for many rural farms and ranches. Backwoods Home Magazine published an excellent article in 2001 about finding and restoring old wind generators. Homebrew Wind Turbine Construction Seminar, July 25-31 2009, Gerald, Missouri. More details, costs, and online registration (now OPEN) are available at the Evergreen Institute website. This will be a hands-on, 6-day, very intensive turbine building seminar that will end with a complete wind turbine install and erection. Loads of fun and great knowledge to be gained by everyone. Expect to be completely exhausted by the end of it! Homebrew Wind Turbine Construction Seminar, August 17-22 2009, at the Otherpower wind turbine shop, 35 miles West of Fort Collins, Colorado, USA. This will be a hands-on, 6-day, very intensive turbine building seminar that will end with a complete wind turbine install and erection. Loads of fun and great knowledge to be gained by everyone. Expect to be completely exhausted by the end of it! Registration is NOW OPEN, and class is capped at 12 students, so register early. Contact us for more information if you want to book a seminar of your own here in Colorado for 2-4 students, or seminar at your own location. Many of these seminars we put on are made possible by grant money from universities and community colleges, who sponsor instructors and professors to attend. We can also provide references from past seminars. 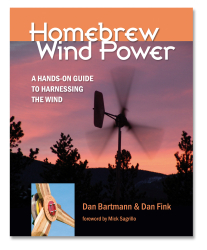 Homebrew Wind Power by Dan Bartmann and Dan Fink.The best book out there about building and flying do-it-yourself wind turbines. We know, because we wrote it! Order it from our Online Store HERE. Building a wind generator from scratch is not THAT difficult of a project. You will need a shop with basic power and hand tools, and some degree of dedication. Large wind generators of 2000 Watts and up are a major project needing very strong construction, but smaller ones in the 700-1000 Watt, 8-11 foot range can be built fairly easily! In fact, we highly recommend that you tackle a smaller wind turbine before even thinking about building a large one. You’ll need to be able to cut and weld steel, and a metal lathe can be handy (though you could hire a machine shop that turns brake rotors do do some small steps for you). In most locations, GENTLE winds (5-15 mph) are the most common, and strong winds are much more rare. As you’ll see by examining our latest machines, our philosophy about designing wind turbines is to make large, sturdy machines that produce good power in low wind speeds, and are able to survive high wind events while still producing maximum power. The power available in the wind goes up by a factor of 8 as the windspeed doubles. Other critical factors are rotor size and tower height. The power a wind turbine can harvest goes up by at least a factor of 4 as you double the rotor size. And making a tower higher gets you above turbulence for better performance and substially increased power output. Putting a wind turbine on a short tower is like mounting solar panels in the shade! Our book Homebrew Wind Power covers everything you need to know about the physics behind turning moving air into electricity, and includes detailed, step-by-step illustrated instructions on how to build a 10-foot diameter, 1 kilowatt turbine. And much more, including controls, wiring, towers, and troubleshooting. Our article The Bottom Line About Wind Turbines is an essential introduction to wind power. It covers the basics of how wind comes to us, how much power different size wind turbines can make in different wind regimes, and has a very handy section on detecting wind turbine scams. Take control of your home’s energy needs by harnessing a free resource—the wind. How? With a residential wind generator from Skystream®. Designed for homes just like yours, the smart, modern Skystream 3.7 converts wind into electricity you can use. It lowers your electric bill by as much as 80%, protects you against volatile electricity prices, reduces your dependence on foreign oil, and produces clean energy that doesn’t affect global warming. Most importantly, it provides independence and stability for you and your family. Wind-Powered Drive-in Movie Theater – World’s First? On February 17, 2009 President Obama signed the American Recovery and Re-investment Act of 2009 into law. The bill improves upon the 2008 tax credit, by removing “cost caps.” This change allows consumers and small businesses to take a 30% tax credit off the installed cost of a wind turbine. I found a site that had a build your own generator a while back – something like a home garage project. Will find it again and post it later . . . It looks like the states and non-profits, cities and counties are good places to look for business grants, as well as specific industry groups. I’m going to look around for those also. I wonder how much could be raised with a business that is built from the ground up with green – ecologically friendly practices from the get-go. Might be interesting to find out.